This month we are highlighting two astrological signs, Aquarius (January 21 – February 19) and Pisces (February 20 – March 20)! Both signs have produced brilliant artists but, as we will discover, the working methods and aspirations of these two zodiacs are quite different. People born under the Aquarian zodiac are identified by their forward-thinking and progressive nature. They are self-directed leaders and prefer to define themselves by their originality and uniqueness. Aquarians are constantly adapting and consider change and evolution a crucial element in self-development. Because of this, Aquarians enjoy surprises–both good and bad–and thrive in exciting, stimulating environments. Banality is never an option for an Aquarius. They are extremely mentally active individuals and their mind is rarely at rest. Aquarians maintain this energy and curiosity throughout life, often described as remaining ‘young at heart’. The DMA collection features multiple Aquarian artists, including Edouard Manet (January 23), Jackson Pollock (January 28), Claes Oldenburg (January 28), Thomas Cole (February 1), Fernand Leger (February 4), and Lewis Comfort Tiffany (February 18). During his lifetime, Manet was frequently criticized and satirized for his work. Some of his most significant artwork, including Olympia and Dejeuner sur l’herbe, were rejected from the Salon and hung at the ‘Salon des Refuses’ instead. Even still, Manet continued to submit works to the Salon throughout his life. Despite academic misfortune, Manet’s work inspired a new generation of artists. Edgar Degas and other members of the Impressionist movement would adopt his use of the alla prima technique and treatment of form using a single stroke or flat area of color. 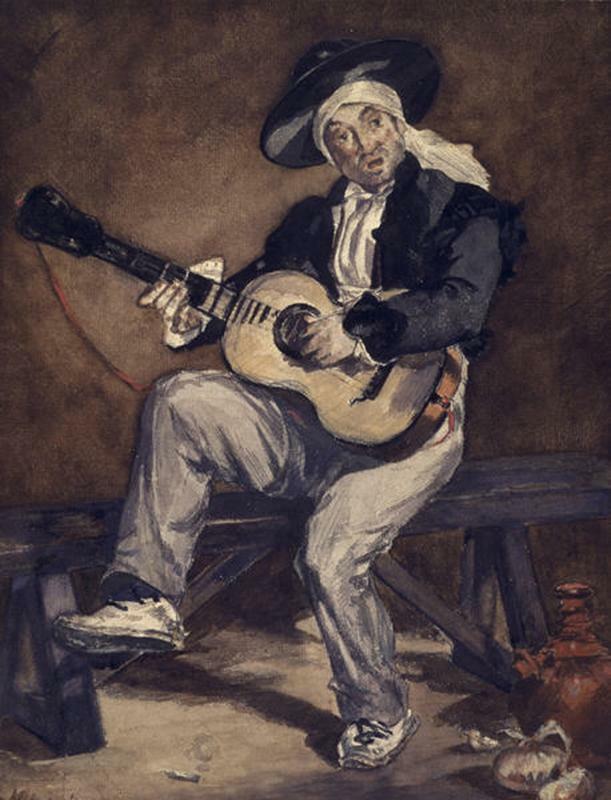 His tendency to avoid intermediate values in favor of sharp contrasts of light and dark, as observed in The Spanish Singer (above), also had an influential affect on art historical tradition. The painting above has been interpreted as a self-portrait partially obscured by a mask. A similar image appears in many of Pollock’s artworks, largely reflective of his self-retrospective style and the influence of Jungian analysis. Pollock believed that “Painting is a state of being…Painting is self-discovery. Every good artist paints what he is.” This interest in psychotherapy and Jungian analysis reveals the Aquarian tendency to continually seek change and evolution. Oldenburg’s Stake Hitch, an emblematic artwork in the DMA collection, was commissioned in 1981 to commemorate the opening of the DMA’s new downtown location. At 18 feet tall, the metal stake plunged through the ground of the gallery, appearing below in the museum’s receiving dock (only accessible to museum staff). Above ground, the stake was attached to the gallery’s 40-foot-ceilings with a massive rope. 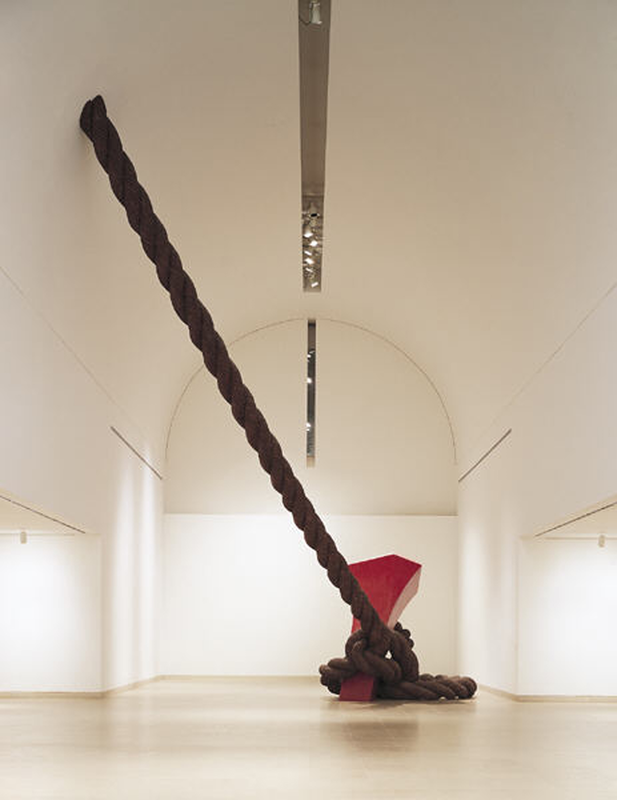 Stake Hitch, removed from display in 2001, is signature of Oldenburg’s artworks, as his work often features everyday objects enlarged to a monumental scale. Oldenburg’s fascination with material culture catapulted him to the forefront of the Pop Art Movement in the 1960s. Unlike Aquarians, Pisces individuals are not concerned with self-progression and evolution. In fact, the most definitive trait of a Pisces is their unconditionally loving and compassionate nature. Pisces often place the concerns and interests of others above their own, making them indecisive or sacrificial at times. Although they are very observant, their idealistic and emotional instincts can direct their perspective. Pisces are known as the most mature and intuitive sign. They are deeply connected to the world around them and typically choose professions where they can serve others. The works of Alexandre Hogue display the intuitive sensibilities of a Pisces. 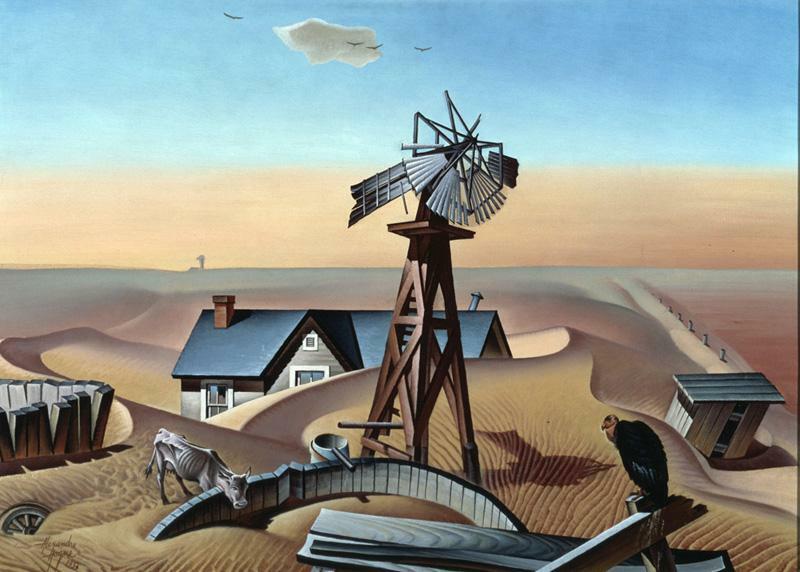 His Erosion series, currently on view at the DMA, provides a commentary on the state of North Texas during the Dust Bowl. Hogue felt very connected to the natural environment, having spent his childhood gardening with his mother. She taught him to take care of his natural surroundings and referred to the earth as “Mother Nature.” Given this background, Hogue was disgusted by the selfishness and ignorance of the migratory farmers in early 20th century, rightfully blaming them for producing the Dust Bowl. His Erosion series particularly highlights the devastating effects of land and water erosion, produced by fencing, over-plowing, over-grazing, monocropping, and expanding roadways. Alexandre Hogue: The Erosion Series will be on view through June 15, 2014. Additional Pisces artists of note include Frank Gehry (February 28th) and Piet Mondrian (March 7th). Thank you for reading the latest addition of Artist Astrology and don’t forget to check out next month’s section on our ambitious Aries artists! ← Oh, The Places You’ll Go for Spring Break!